While visiting the Apple Orchard/Farm, I walked by this gourd sitting by itself and I liked the quietness of the colors. So I snapped a photo and went home and painted it. 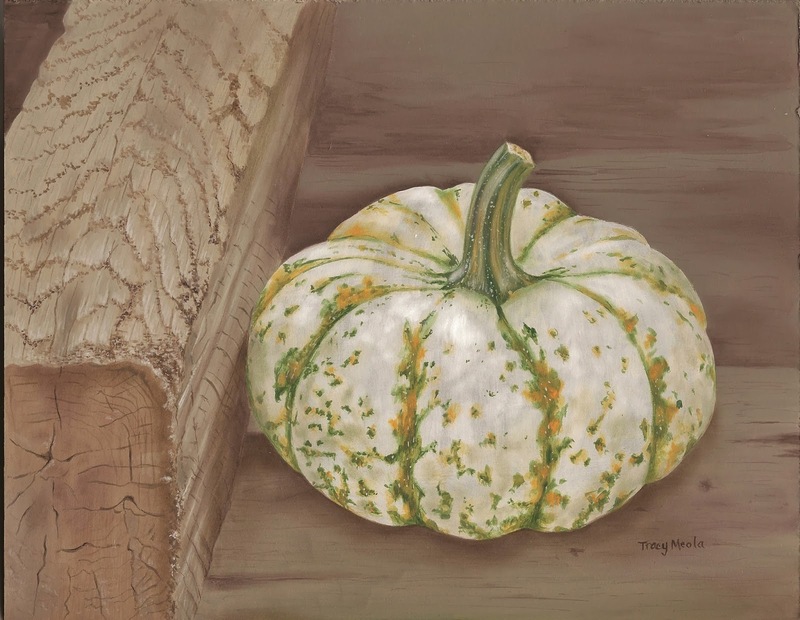 The hardest thing to paint was the hefty timber that the gourd was sitting next to but I am pleased with the result. I really enjoy painting things of the season and my next "in-between" painting will probably be an orange pumpkin. I have a few smaller ones in an arrangement on my dining table, so before the warmth gets to them and they become nasty I'll make one pose for me.